After having spent the last year Deltek building up an impressive channel, Vice President of Worldwide Channels and Sales Alliances Taylor Macdonald has left the professional services software company, effective immediately, for an executive position at an unspecified educational company. 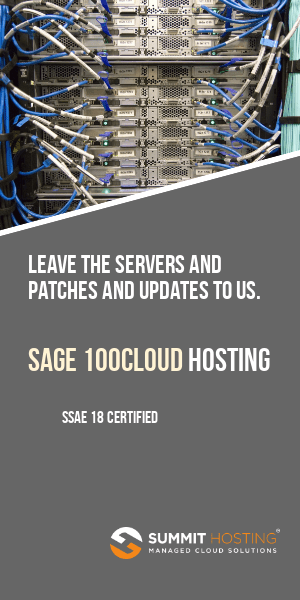 He had recently been signing up a significant number of top Sage vars who seemed to largely flock to Deltek based upon their interest in diversifying product lines as well as their faith in Taylor Macdonald. Taylor’s departure was announced in an email from Carolyn Parent, VP Worldwide Sales at Deltek. There has reportedly been at least one joint press phone conference which included the Deltek team along with Taylor, so the split does seem on the surface to have been amicable. I am writing to let you know that Taylor Macdonald has accepted a senior executive position at an educational software company. As a result, Taylor will be leaving Deltek effective 12/31/08. While we are sad to see Taylor leave, all of us at Deltek are grateful to Taylor for his significant contributions. When Taylor joined us, his goal was to help us significantly grow our partner network by recruiting experienced, world-class partners to complement those that had served us so well in previous years, and to accelerate the momentum that had been established in 2007. And he was very successful – doubling the number of business partners in twelve months, and driving record new business revenues with partners for the year. These efforts significantly contributed to our strategic initiative of driving more and more business through the channel, and we’re very pleased with the progress we’ve made in 2008. I know this was a difficult decision for Taylor to make, but it represents a unique personal opportunity that he felt he needed to pursue. Taylor has made it clear that he still believes Deltek represents a fantastic opportunity for partners, especially given the maturing of our program. We wish him well and know he will be successful as he tackles an entirely new industry. Given the importance of the Channel and to build on Taylor’s success in 2008, I am pleased to announce that Sean Hickey, currently VP of Vision Sales, will take-on the additional responsibilities of Worldwide Channel Sales and Alliances beginning on January 1, 2009. We’ve always considered the Channel an extension of our direct sales force, and Sean will now lead both the Channel and Direct teams. Sean will continue to report to me. As a fifteen-year veteran of Deltek, Sean is uniquely qualified to drive our Channel sales initiatives. Sean previously led all of Vision sales through 2006, and he was responsible for the rapid growth of Vision sales since its launch in 2002. Sean built the initial Vision partner channel, and he is enormously respected internally and by our Vision customers as well. Sean and I will be reaching out to each of you individually in the coming days to discuss the transition and gather your input. I want to reinforce that the Channel Program remains a strategic imperative for Deltek. We remain committed to our Vision Business Partners and are focused on continuing the positive momentum to drive joint gains in the coming year. Thank you again for a strong 2008. I look forward to seeing you at the Partner Sales Kickoff on January 12-14, 2009 in Dulles, VA. Please join me in congratulating Sean on his new role and wishing Taylor the best in his next venture. Holy cow! Guess what they really hired him for was his rolodex of Sage Resellers. I'm sure they didn't want him to leave but they definitely got value for a years salary. See as this was under a years' worth of effort and expense by the VARS who were recruited, I'll be interested to see what the fallout is. And even more interested to see where Taylor lands. I'm of the belief that his departure from Sage was a huge loss. Does anyone know how this event will impact Peyton Burch? My understanding is that Taylor brought Peyton on board to lead the US Channel operations. With the naming of Sean Hickey as Taylor's replacement, does this mean that Peyton is out as well? I haven't heard anything. This sounds like it was an amicable thing. I wouldn't be surprised if Peyton (was allowed to) followed Taylor. Payton joined about a month after Taylor and so far as I know reported to him. Still remains to be seen what educational software company Taylor lands at. I'm pretty sure it won't be Video Professor.